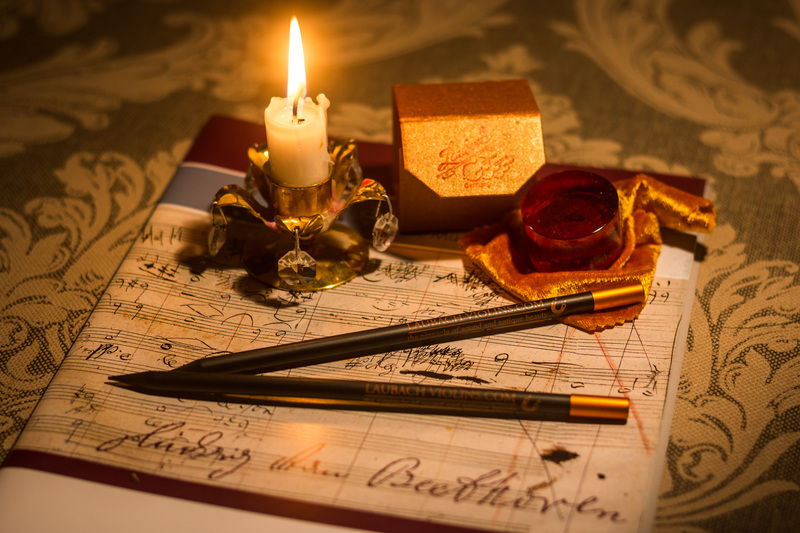 The magnetic Laubach pencil with a magnetic mount is perfect for personal notes on a sheet of music. It allows you to make quick changes and corrections, provides you with easy access and saves time. Your magnetic pencil is a reliable assistant at all rehearsals! Always at hand with the musician it does not roll or fall off the music stand and is not lost! 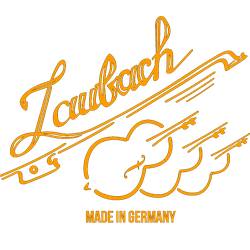 The Laubach Soft magnetic Pencil is specially designed and built for application on the neck and nut of the fingerboard. 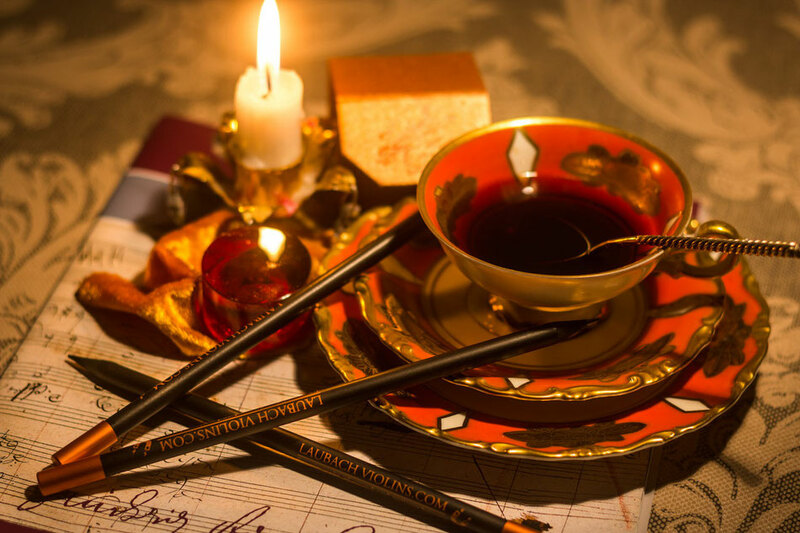 By applying the pencil on the violin, viola, cello, double bass fingerboard nut - you will help to lengthen the lifespan of your strings! A pencil with a magnet is essential for all musicians, professionals, students of conservatories and students of music schools and colleges. Friends, do not forget to use the pencil after replacing strings on your instrument. Buy LAUBACH pencil magnetic for violin cello, viola and double bass. Special magnetic Laubach pencil for taking notes on the go with the possibility of attaching to a sheet metal music stand. A great gift for your friends and colleagues for the holidays! When buying a pencil, please select the amount you need in the box below. When ordering 6 pieces, pencils come packed in a gift box case. Quantity discount! The more you buy, the less you pay! Laubach soft slate pencil is made in Germany and equipped with a special magnetic cap for easy, convenient and quick attachment to the music stand. It is not lost and does not roll off the surface of the music stand during rehearsals. 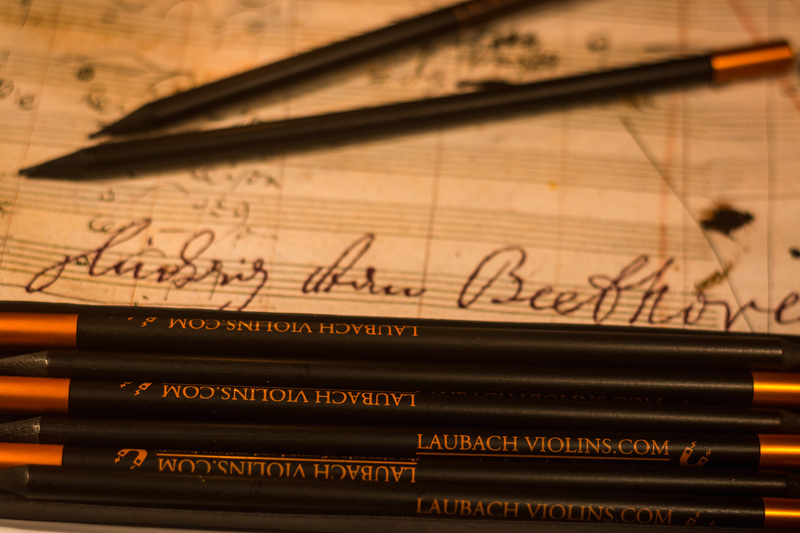 Another important function of the Laubach pencil is the application of slate on the string grooves on the nut and string stand when replacing strings. Such application reduces the friction between the nut and the string in the groove, thereby reducing wear and increasing the durability and wear resistance of strings on a violin, cello, viola and double bass. String manufacturers often “forget” to mention the importance of slate rubbing on surfaces of the instrument under the strings at the points of contact with a pencil graphite rod.